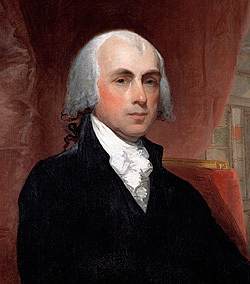 James Madison, by Walker Hancock, 1976. Statue from the James Madison Building of the Library of Congress. Architect of the Capitol photo. 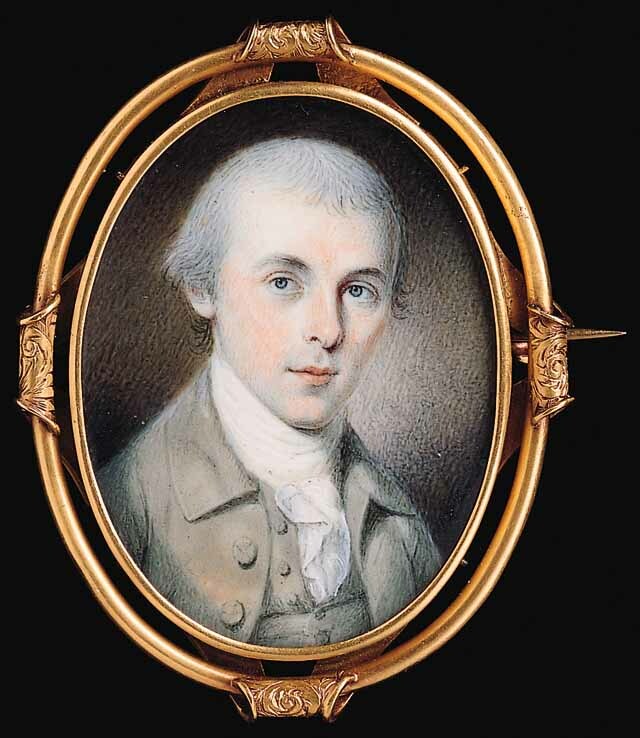 James Madison’s birth on March 16, 1751, gets no attention as a federal or state holiday. Journalists usually mark the date with a week of festivities around the date, honoring Madison’s deep dedication to the principles of free press and open government, including his authoring and passing the First Amendment. Madison’s chief notoriety comes from his work organizing the Philadelphia convention and working to ratify the U.S. Constitution — sometimes he’s called the Father of the Constitution. He also served as Secretary of State in Thomas Jefferson’s administration, and served two terms as President, including the War of 1812. 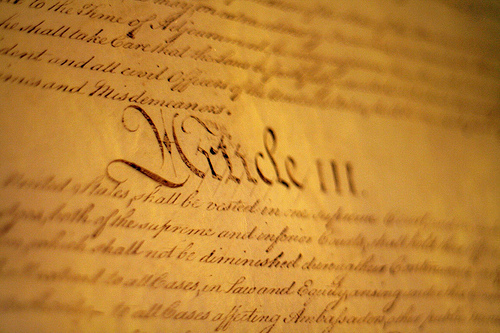 Second Amendment fanatics (distinguished from Second Amendment scholars) often claim a right to overthrow the U.S. government by force, and use that as justification for complete, unbridled rights to own guns and threaten neighbors, city governments, state governments and federal government with violence. Regardless the history of the Second Amendment and what it was intended to say, no scholar I can find argues that it vitiates or even touches Article III’s provisions against insurrection and violence against the government and government officers. It may be good simply to review what that clause says. No commentary I can find suggests the Second Amendment confers a right to rebellion, a right to revolution, or any exemption from Article III treason. What do you think? Comments open. What’s the Constitution between friends? 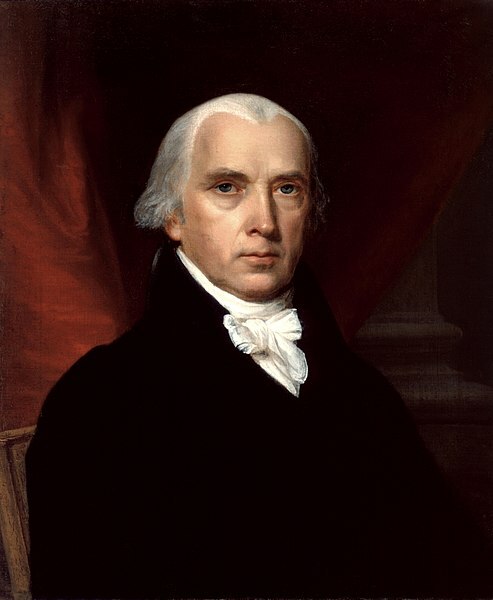 James Madison, the fourth President of the United States, and the Father of the Constitution, was born March 16, 1751, in the Tidewater area of Virginia. Is it sinful that we do not celebrate his birthday with a federal holiday, fireworks, picnics and speeches and concerts? Maybe you could fly your flag today. If the neighbors ask why, tell them you’re flying it for freedom on James Madison’s birthday. They’ll say, “Oh,” and run off to Google Madison. You will have struck a blow for the education that undergirds democracy. Journalists honor Madison on his birthday, and through the week in which his birthday occurs, with tributes to the First Amendment which he wrote, and celebrations of Freedom of Information Laws and press freedoms, two issues dear to Madison’s heart. There is much, much to celebrate about him. A few years ago I was asked to talk about freedom to a group of freedom lovers in North Texas. I chose to speak about James Madison’s remarkable, and too-often unremarked-upon life. Later, when I started this blog, I posted it here, with an introduction. All of that is below, in honor of the birth of James Madison. Did you know that Madison is the shortest man ever to have been president? His stature is measured in freedom, not in feet and inches. I don’t blame students when they tell me they “hate history.” Heaven knows, they probably have been boringly taught boring stuff. For example, history classes study the founding of the United States. Especially under the topical restrictions imposed by standardized testing, many kids will get a short-form version of history that leaves out some of the most interesting stuff. Worse, that sort of stuff does damage to the history and the people who made it, too. James Madison gets short shrift in the current canon, in my opinion. Madison was the fourth president, sure, and many textbooks note his role in the convention at Philadelphia that wrote the Constitution in 1787. But I think Madison’s larger career, especially his advocacy for freedom from 1776 to his death, is overlooked. Madison was the “essential man” in the founding of the nation, in many ways. He was able to collaborate with people as few others could, in order to get things done, including his work with George Mason on the Virginia Bill of Rights, with George Washington on the Constitution and national government structure, Thomas Jefferson on the structure and preservation of freedom, Alexander Hamilton on the Constitution and national bank, and James Monroe on continuing the American Revolution. We need to look harder at the methods and philosophy, and life, of James Madison. This is an opinion I’ve held for a long time. Below the fold I reproduce a “sermon” I delivered to the North Texas Church of Freethought in November 2001. I have left this exactly as it was delivered, though I would change a few things today, especially emphasizing more the key role George Washington played in pushing Madison to get the Constitution — a view I came to courtesy of the Bill of Rights Insitute and their outstanding, week-long seminar, Shaping the Constitution: A View from Mount Vernon 1783-1789. The Bill of Rights Institute provides outstanding training for teachers, and this particular session, at Washington’s home at Mount Vernon, Virginia, is well worth the time (check with the Institute to see whether it will be offered next year — and apply!). I am especially grateful to have had the opportunity to discuss these times and issues with outstanding scholars like Dr. Gordon Lloyd of Pepperdine University, Dr. Adam Tate of Morrow College, and Dr. Stuart Leibiger of LaSalle University, during my stay at Mount Vernon. Historians rethink the past at least every generation, mining history for new insights or, at least, a new book. About the founders of this nation there has been a good deal of rethinking lately. David McCullough reminds us that John Adams really was a good guy, and that we shouldn’t think of him simply as the Federalist foil to Thomas Jefferson’s more democratic view of the world. Jefferson himself is greatly scrutinized, and perhaps out of favor — “American Sphinx,” Joseph Ellis calls him. The science of DNA testing shows that perhaps Jefferson had more to be quiet about than even he confessed in his journals. 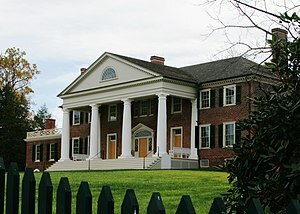 While Jefferson himself questioned his own weakness in his not freeing his slaves in his lifetime, historians and fans of Jefferson’s great writings wrestle with the likelihood of his relationship with one of his own slaves (the old Sally Hemings stories came back, and DNA indicates her children were fathered by a member of the Jefferson clan; some critics argue that Jefferson was a hypocrite, but that was Jefferson’s own criticism of himself; defenders point out that the affair most likely was consensual, but could not be openly acknowledged in Virginia at that time). Hamilton’s gift to America was a financial system capable of carrying a noble nation to great achievement, we are told – don’t think of him simply as the fellow Aaron Burr killed in a duel. Washington is recast as one of the earliest guerrilla fighters, and in one book as a typical gentleman who couldn’t control his expenses. Franklin becomes in recent books the “First American,” the model after which we are all made, somehow. Of the major figures of these founding eras, James Madison is left out of the rethinking, at least for now. There has been no major biography of Madison for a decade or more, not since Ralph Ketcham’s book for the University of Virginia press. Madison has a role in Joseph Ellis’s Founding Brothers, but he shares his spotlight with Hamilton and Jefferson. I think this is an oversight. As we enter into the first Thanksgiving season of the 21st century, we would do well to take a look back at Madison’s life. Madison gives us a model of reason, and more important, a model of action coupled to reason. America’s founding is often depicted as a time of great thunder — if not the thunder of the lightning Ben Franklin experimented with, an experiment he parlayed into worldwide respect for Americans, it is the thunder of the pronouncements of Thomas Jefferson in the Declaration of Independence, or of George Washington, just generally thundering through history. Thunder at the founding is impressive; where was the lightning? I’d like to point out two themes that run through Madison’s life, or rather, two activities that we find him in time and again. Madison’s life was marked by periods of reflection, followed by action as a result of that reflection. We don’t know a lot about Madison’s youth. He was the oldest son of a wealthy Virginia planter, growing up in the Orange County area of Tidewater Virginia. We know he was boarded out for schooling with good teachers – usually clergymen, but occasionally to someone with expertise in a particular subject – and we know that he won admission to Princeton to study under the Rev. John Witherspoon, a recent Presbyterian transplant from across the Atlantic. Madison broke with tradition a bit in attending an American rather than an English school. And after completing his course of study he remained at Princeton for another year to study theology directly under Witherspoon, with an eye toward becoming a preacher. Witherspoon is often held up as an example of how religion influenced the founders, but he was much more of a rationalist than some would have us believe. He persuaded the young Madison that a career in law and politics would be a great service to the people of Virginia and America, and might be a higher calling. After a year of this reflection, Madison returned to Virginia and won election to local government. Madison must have done a fine job at his county duties, whatever they were, because in 1776 when Virginia was organizing its government to survive hostilities with England, Madison was elected to the legislative body. Madison was 25, and still raw in Virginia politics. He was appointed to the committee headed by George Mason to review the laws and charter of the colony. Another who would serve on this committee when he was back from Philadelphia was Thomas Jefferson. George Mason was already a giant in Virginia politics, and by the time Madison got to Williamsburg, Mason had already completed much of the work on a bill of rights to undergird the new Virginia government. Madison noted that freedom of religion was not among the rights enumerated in Mason’s version — but it was too late, Mason said. The work was done. Madison quietly went to work on Mason, in committee, over dinner, during social occasions — noting the great injustice of jailing people solely because of their beliefs, and urging to Mason that it did Virginia no good to keep these fathers from providing for their families. Mason ultimately agreed to accept the amendment. Perhaps a better example of this reflection and action cycle occurred nearly a decade later. By 1785 the war was over, independence was won, but the business of government continued. While serving as governor of Virginia, Thomas Jefferson had drafted about 150 proposals for laws, really a blueprint for a free government. About half of these proposals had been passed into law. By 1785, Jefferson was away from Virginia, representing the Confederation of colonies in Paris. Jefferson had provided several laws to disestablish religion in Virginia, and to separate out the functions of church and state. With Jefferson gone, however, his old nemesis Patrick Henry sought to roll back some of that work. Henry proposed to bring back state support for the clergy, for the stated purpose of promoting education. (Yes, this is the same battle we fight today for church and state separation.) After Jefferson’s troubled term as governor, Virginia turned again to Henry – Henry ultimately served six terms as governor. His proposal was set for a quick approval in the Virginia assembly. It was late in the term, and everyone wanted to get home. Henry was, of course, a thundering orator of great note. Madison was a small man with a nervous speaking style, but a man who knew the issues better than anyone else in almost any room he could be in. Madison came up with an interesting proposal. Picking the religion for the state was serious stuff, he said. A state doesn’t want to pick the wrong religion, and get stuck with the wrong god, surely – and such weighty matters deserve widespread support and discussion, Madison said. His motion to delay Henry’s bill until the next session, in order to let the public know and approve, was agreed to handily. You probably know the rest of this story. With a year for the state to reflect on the idea, Madison wrote up a petition on the issue, which he called a “Memorial and Remonstrance.” In the petition he laid out 15 reasons why separation of church and state was a superior form of government, concluding that in the previous 1,500 years, every marriage of church and state produced a lazy and corrupt church, and despotic government. Madison’s petition circulated everywhere, and away from Patrick Henry’s thundering orations, the people of Virginia chose Madison’s cool reason. When the legislature reconvened in 1786, it rejected Henry’s proposal. But Madison’s petition had been so persuasive, the legislature also brought up a proposal Thomas Jefferson had made six years earlier, and passed into law the Virginia Statue for Religious Freedom. Amending the Articles of Confederation was a doomed effort, many thought. The colonies would go their separate ways, no longer bound by the need to hang together against the Parliament of England. Perhaps George Washington could have got a council together to propose a new system, but Washington had stayed out of these debates. Washington’s model for action was the Roman general Cincinnatus, who went from his plow to lead the Romans to victory, then returned to his farm, and finding his plow where he had left it, took it up again. Madison invited Washington, and persuaded Washington to attend. Washington was elected president of the convention, and in retrospect that election guaranteed that whatever the convention produced, the colonies would pay attention to it. You know that history, too. The convention quickly decided the Articles of Confederation were beyond repair. Instead, they wrote a new charter for a new form of government. The charter was based in part on Jefferson’s Virginia Plan, with lots of modifications. Because the Constitution resembles so much the blueprint that Jefferson had written, and because Jefferson was a great founder, many Americans believe Jefferson was a guiding light at that Philadelphia convention. It’s often good to reflect that Jefferson was in Paris the entire time. While America remembers the thunder of Washington’s presiding, Franklin’s timely contributions and Jefferson’s ideas, it was Madison who did the heavy lifting, who got Washington and Franklin to attend the meeting Madison had set up, and got Jefferson’s ideas presented and explained. 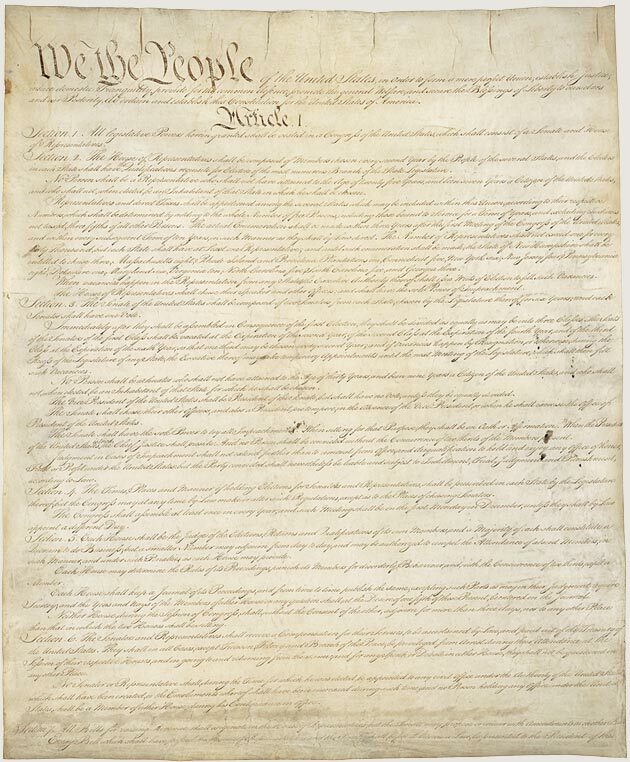 It was Madison who decided, in late August of 1787, that the convention could not hang together long enough to create a bill of rights, and instead got approval for the basic framework of the U.S. government. In Virginia a few months later, while Patrick Henry thundered against what he described as a power grab by a new government, it was Madison who assembled the coalitions that got the Constitution ratified by the Virginia ratifying convention. And when even Jefferson complained that a constitution was dangerous without a bill of rights, it was Madison who first calmed Jefferson, then promised that one of the first actions of the new government would be a bill of rights. He delivered on that promise as a Member of the House of Representatives in 1789. It is difficult to appreciate just how deeply insinuated into the creation of America was James Madison. In big ways and small, he made America work. He took the lofty ideas of Jefferson, and made them into laws that are still on the books, unamended and unedited, more than 200 years later. When the ratification battle was won, when Madison had won election to the House over Patrick Henry’s strong objection, partly by befriending the man Henry had picked to defeat Madison, James Monroe, Madison could have savored the moment and been assured a place in history. That’s not what a lightning bolt does. Journeying to New York for the opening of the First Congress and the inauguration of Washington as president, Madison stopped off at Mount Vernon to visit with Washington, apparently at Washington’s request. In what was a few hours, really, Madison wrote Washington’s inaugural address. While there at Mount Vernon, Madison stumbled into a discussion by several others on their way to New York, wondering what high honorific to apply to the new president. “Excellency” was winning out over “Your highness,” until Washington turned to Madison for an opinion. Madison said the president should be called, simply, “Mr. President.” We still do. Once in New York, Madison saw to the organizing of the Congress, then to the organizing of the inauguration. And upon hearing Washington’s inauguration address — which Madison had ghosted, remember — Congress appointed Madison to write the official Congressional response. 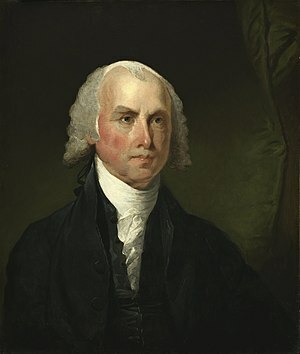 Years later, in Washington, Madison engineered the candidacy of Thomas Jefferson for president, and after Jefferson was elected, Madison had the dubious honor as Secretary of State of lending his name to the Supreme Court case that established the Supreme Court as the arbiter of what is Constitutional under our scheme of government, in Marbury v. Madison. Wherever there was action needed to make this government work, it seemed, there was James Madison providing the spark. James Madison was the lightning behind the thunder of the founding of America. We should be grateful that he lived when he did, where he did, for we all share the fruits of the freedoms he worked to obtain. And in this Thanksgiving season, let us look for appropriate ways to honor his work. The Madisonian model of thoughtful reflection leading to action is one that is solidly established in psychological research. It is the model for leadership taught in business schools and military academies. I would compare religious liberty to a mighty oak tree, under which we might seek shade on a hot summer day, from which we might draw wood for our fires to warm us in winter, or lumber to build great and strong buildings. That big oak we enjoy began its life long before ours. We enjoy its shade because someone earlier planted the seed. We enjoy our freedoms today because of men like James Madison. How do we give thanks? As we pass around the turkey to our family, our friends, we would do well to reflect on the freedoms we enjoy, and how we got them. Finally, remembering that someone had to plant those seeds, we need to ask: What seeds must we plant now for those who will come after us? We can demonstrate our being grateful for the actions of those who came before us by giving to those who come after us, something more to be grateful for. A life like Madison’s is a rarity. Improving on the freedoms he gave us might be difficult. Preserving those freedoms seems to me a solemn duty, however. Speaking out to defend those freedoms is an almost-tangible way to thank James Madison, and as fate would have it, there is plenty of material to speak out about. A postcard to your senators and representative giving your reasoned views on the re- introduction of the Istook Amendment might be timely now – with America’s attention turned overseas for a moment, people have adopted Patrick Henry’s tactic of trying to undo religious freedom during the distraction. I have had a lot of fun, and done some good I hope, in our local school system by asking our sons’ science and biology teachers what they plan to teach about evolution. Whatever they nervously answer — and they always nervously answer that question — I tell them that I want them to cover the topic fully and completely, and if they have any opposition to that I would be pleased to lend my name to a suit demanding it be done. We might take a moment of reflection to ponder our views about a proposed Texas “moment of silence” bill to be introduced, and then let our state representatives have our thoughts on the issue. 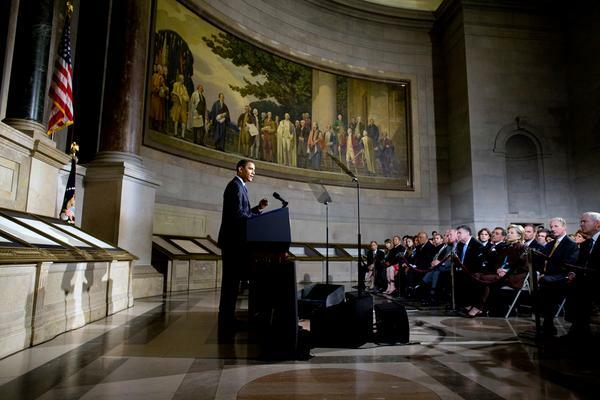 How can we express our gratitude for such a foundation for religious liberty? Let loose a few lightning bolts, in remembrance of Madison. Copyright © 2001 and 2006 by Ed Darrell. You may reproduce with attribution. Links added in May 2013. It’s easy to view our most popular Constitution Day programs in the classroom! Tune in tomorrow to watch the live broadcasts! Watch as we kick off the day with a rousing reading of the Preamble of the Constitution of the United States on the museum’s front lawn! Supreme Court Justice Stephen Breyer meets with students for a town hall conversation about his work with the Constitution and the ins and outs of his job! Join a virtual tour of the museum, including Signers’ Hall and The Story of We the People, followed by a conversation with Judge Marjorie O. Rendell of the U.S. Court of Appeals for the Third Circuit! Justice Stephen Breyer returns to discuss his latest book, The Court and the World: American Law and the New Global Realities, as well as how American law applies in international contexts. Catch the newest edition of our award-winning video series and join our staff for a live discussion about Constitution Day! The chat will be available until September 23, from 7 AM to 6 PM EDT. Follow along with our festivities on social media and share your own celebration! Join the conversation with @ConstitutionCtr and #ConstitutionDay! Justice Stephen Breyer’s interview alone should be worth the price of admission. He’s taking on the bizarre notion that U.S. judges should never look to see what foreign courts and legislatures do. That view has led to state laws recently that claim to ban local courts’ use of foreign law. In the year of the 800th anniversary of the Magna Carta? Hello? Odd fact for Constitution Day: There is no direct mention of a U.S. flag in the Constitution. March 16, Freedoms Day 2015 – How to celebrate James Madison? Celebrations of James Madison, who was born on March 16, 1751, fall to second tier, a paragraph if we’re lucky in your local newspaper’s “today in history” feature. March 16 is not a holiday. It’s not even a Flag Flying Day (though, if you left your flag up for March 15th’s anniversary of Maine’s statehood . . . no one would notice). Should we leave James Madison out of our celebrations of history with such vengeance? Madison left a great legacy. The question is, how to honor it, and him? Madison is known popularly, especially for elementary school history studies (the few that are done anymore), as the Father of the Constitution. It’s fitting: Madison engaged in a great, good conspiracy with George Washington and Alexander Hamilton to get the convention to “amend” the Articles of Confederation and create a better, probably stronger, national government. But Washington stayed behind the scenes, and pulled very few strings Madison didn’t tell him to pull. Hamilton’s support from New York was weak; while Hamilton played a hugely important role in getting the convention called, and in getting New York to ratify the Constitution with the creation of the Federalist Papers project, the day-to-day operation of the convention and direction of the political forces to make it work, fell to Madison. Madison’s notes on the Philadelphia convention give us the best record of the then-secret proceedings. Madison devised the scheme of getting conventions to ratify the Constitution, instead of colonial/state legislatures. He had Patrick Henry in mind. Henry opposed any centralized government for the colonies, to the point that he refused to attend the Philadelphia convention when he was appointed a delegate; by the end of the convention, Henry was off to another term as governor where he hoped to orchestrate the defeat of ratification of the constitution in the Virginia legislature. Madison circumvented that path, but Henry still threw up every hurdle he could. (Henry organized the anti-federalist forces in the Virginia Convention, and hoping to kill the Constitution, called it fatally flawed for having no bill of rights; when Madison’s organizing outflanked him, especially with a promised to get a bill of rights in the First Congress, Henry blocked Madison’s election to the U.S. Senate, and organized forces to stop his popular election to the U.S. House. That failed, ultimately, and Madison pushed the legislative package that became the Bill of Rights). Andrew Hamilton started writing a series of newspaper columns, with John Jay, to urge New York to ratify of the Constitution; but after Jay was beaten nearly to death by an anti-federalist mob, Hamilton invited Madison to step in and help. Madison ended up writing more than Hamilton and Jay put together, in that collection now known as The Federalist Papers. Madison backed down George Mason, and got the great defender of citizens’ rights to add religious freedom to the Virginia Bill of Rights, in 1776. Religious freedom and freedom of conscience became a life-long crusade for Madison, perhaps moreso than for Thomas Jefferson. A sort of protege of Thomas Jefferson, Madison pushed much of Jefferson’s democratic and bureaucratic reforms through the Virginia legislature, into law. Especially, it was Madison who stoppped Patrick Henry’s plan to have Virginia put preachers on the payroll, and instead pass Jefferson’s Statute for Religious Freedom into law in 1786. 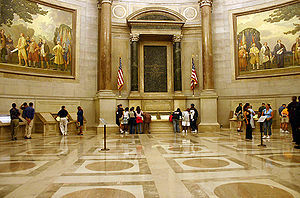 Madison wrote the best defense of American religious freedom in the Memorial and Remonstrance, a petition to the Virginia legislature to get Jefferson’s bill passed. Madison sponsored and passed more Constitutional Amendments than anyone else in history. We have 27 amendments to our Constitution. Madison pushed through the first 10, now known as the Bill of Rights. In the original package proposed out of Congress were a dozen amendments. One of those became salient again in the late 20th century, and was finally ratified in 1992 — the 27th Amendment. Madison is the author of 11 of the 27 amendments, including the first ten and the last one. Madison is the only president to face enemy gunfire while president, commanding troops on the frontlines during the British invasion of Washington in 1814. Madison took over the creation of the University of Virginia when Jefferson’s death prevented his following through. Madison’s record as an effective, law-passing legislator is rivaled only by Lyndon Johnson among the 43 people we’ve had as president. Both were masters at get stuff done. Madison is the ultimate go-to-guy for a partner. In his lifetime, to the great benefit of his partners, he collaborated with George Washington to get the convention in Philadelphia; he collaborated with Ben Franklin to get Washington to be president of the Philadelphia convention, without which it could not have succeeded; he collaborated with Hamilton on the Constitution and again on the Federalist papers; he collaborated with Jefferson to secure religious freedom in 1776, 1786, and 1789; Madison collaborated with Jefferson to establish our party political system (perhaps somewhat unintentionally), and to get Jefferson elected president; Madison collaborated with Jefferson and Jay to make the Louisiana Purchase; Madison took James Monroe out of the Patrick Henry camp, and brought Monroe along to be a great federalist democrat, appointing Monroe Secretary of State in Madison’s administration, and then pushing Monroe to succeed him as president. Also, Madison was a prize student of the great John Witherspoon at what is now Princeton; Witherspoon took Madison, studying for the clergy, and convinced him God had a greater calling for him than merely to a pulpit. As the ultimate Second Man — when he wasn’t the First Man — Madison’s role in history should not be downplayed, not forgotten. March 16 is Madison’s birthday (“new style”). What would be fitting ways to celebrate Madison’s life and accomplishments, on his birthday? Nothing done so far in the history of the Republic adequately honors this man and his accomplishments, nor begins to acknowledge the great debt every free person owes to his work. Still, there are encouraging stirrings. Newspapermen and reporters call the week of the anniversary of James Madison’s birth, “Sunshine Week,” honoring Madison and freedom of information. The Lakeland (Florida) Ledger explains in this commentary. The Stillwater (Oklahoma) News Press takes note of Sunshine Week, asking Oklahoma’s governor to get off the dime and start honoring freedom of information requests. Madison would have approved of such hell-raising, I think. SunshineWeek.org helps organize First Amendment and freedom of information rallies in the week, a project of some of the usual suspect supporters of press freedoms, the John S. and James L. Knight Foundation, Bloomberg News, The Gridiron Club and Foundation, American Society of News Editors (ASNE) and the Reporters Committee for Freedom of the Press. Actually, there is a great deal of information available there at the Sunshine Week Toolkit, especially for news organizations. See Tweets at @SunshineWeek. How will you celebrate James Madison’s Birthday? What happened to Madison Week at JMU? 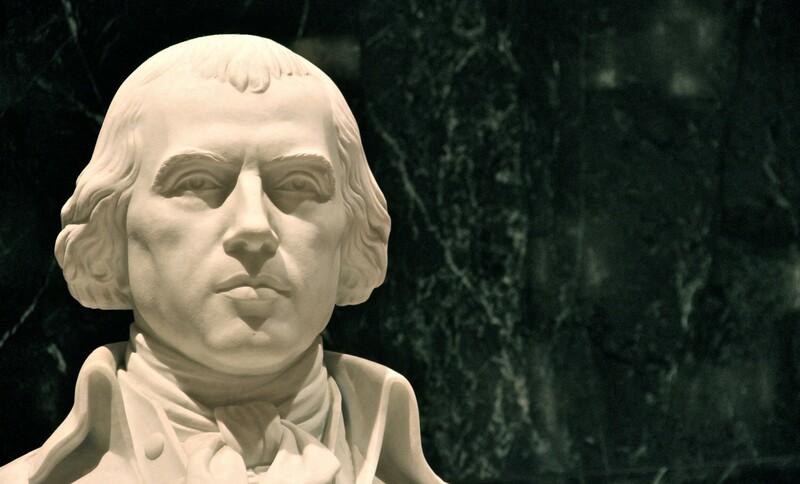 “Celebrating James Madison’s Birthday,” by James Best, at What Would the Founders Think?